SQL Server 2014 LocalDB can be downloaded from here. Local Database Runtime error occurred. 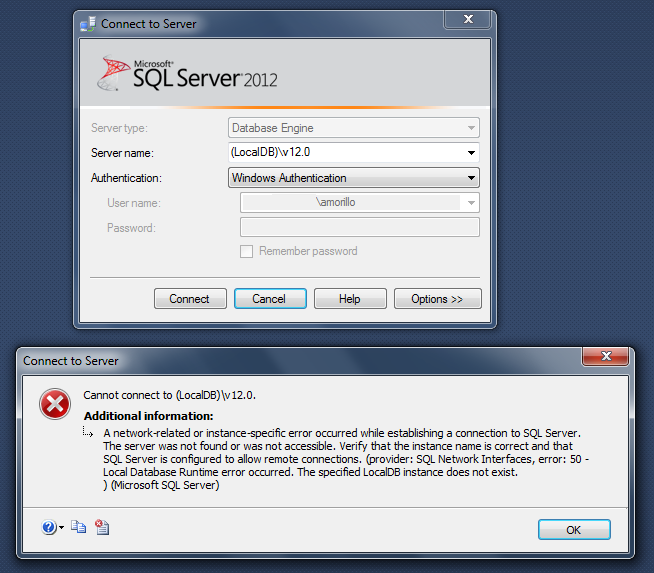 The specified LocalDB instance does not exist. 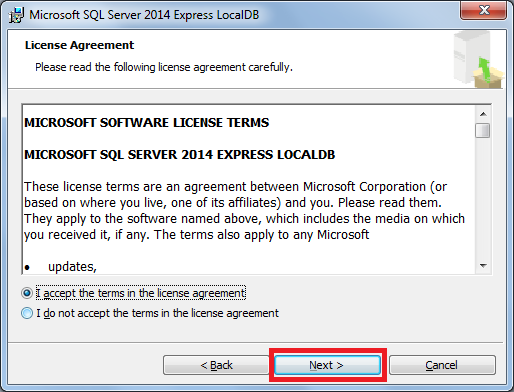 On SQL Server 2014, The SQL Server team created "mssqllocaldb" as the default name for the automatic LocalDB instance. 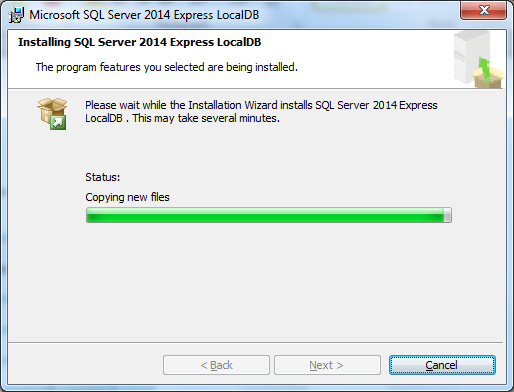 The name of the automatic LocalDB instance is no longer related to SQL Server version number (v11.0 = SQL Server 2012, v12.0 = SQL Server 2014). 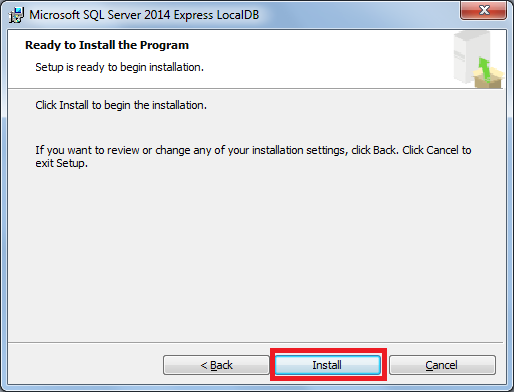 Thus, we should use "(localdb)\mssqllocaldb" as server name to connect to LocalDB automatic instance on SQL Server 2014, as shown below. 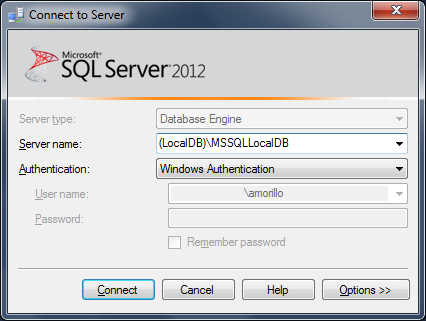 As you may have noticed, we used SQL Server 2012 Management Studio to connect to the SQL Server 2014 LocalDB instance. 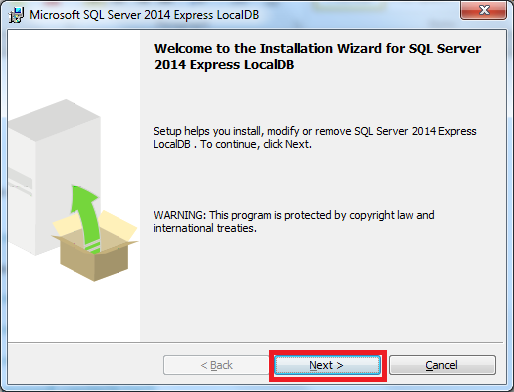 To learn more about LocalDB, please click here.